Today will mark the end of M’s first full week at school. It’s technically the end of his third week, but the first week were just half days, so today is his “official” first week. We’ve had to completely change our routine to revolve around his school hours. I was lucky enough to be able to change my hours to allow me to pick him up from school and Clara has taken on the role of dropping him into school. 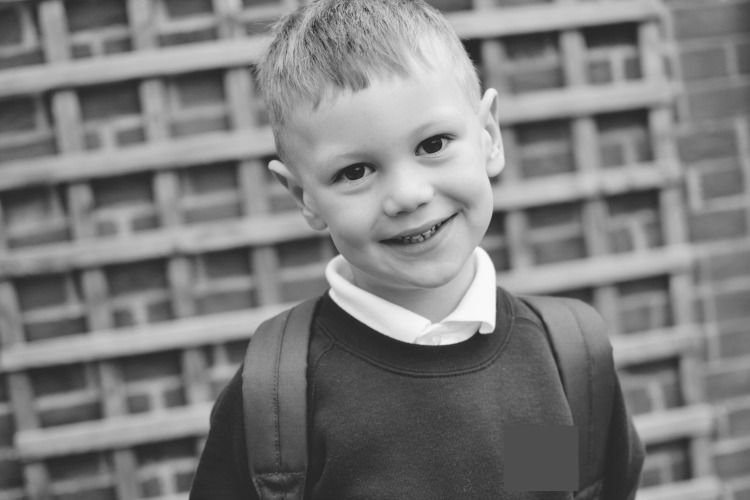 This not only allows us to spend time with M on our own before and after school, we also don’t need to rely on family or childcare to look after him. Throughout M’s time at preschool we relied on Clara’s Mum to pick M up, and look after him on a Friday, but now the responsibility is all ours and to be honest I love it. I am so grateful that we have family close to help us out, but I also love that time with M, knowing I get to be the first to ask him how his day at school went or to hear about something new he has learnt. The race from work to the school gates is always a little tight, I stand among parents I don’t know, eager to catch a glimpse of M. Every afternoon is the same, he struggles out of class with his gigantic lunch bag, book bag and coat and smiles and tells me his day was AMAZING! That’s about as much as I get out of him for the first 30 minutes. We then spend the next hour and a half before we pick up C, playing Pokemon Go, colouring in at a local cafe or playing down the park. It’s during this time that I get to hear a little bit more about M’s day. He will usually tell me who he played with, if he did PE or not and how fun the playground was. I am yet to find out what he actually thinks about the things he is learning, but thankfully his school uploads updates we can access so I know he certainly is learning things. It may only have been three weeks, but already school feels like it has been part of our routine for quite a while. I was super concerned about the impact school would have on M’s little life, but so far he is taking it all in his stride. Did your little one start school this year? How are they finding it? LOOOOVVVEEE this, I still get that feeling in my tummy when I pick the kids up, they have been away from me for so long and I love to hear their tales. I wish I did daily pick up, I miss it so much but there is always one of us there and I am thankful. My daughter’s just started school too. I’m used to the drill as my son’s moving into his third year at the local primary, and my daughter seems to have settled in fine (fingers crossed!) Here’s hoping she and your M continue to do well at adjusting.